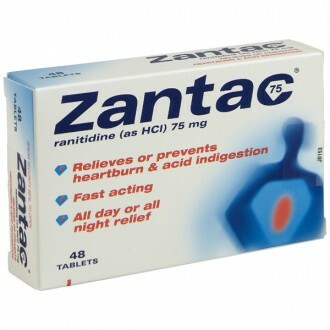 Ranitidine is a popular and effective treatment for stomach ulcers, acid reflux, and indigestion. 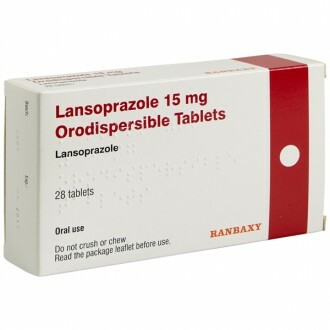 It is an H2-receptor blocker – it provides relief from these symptoms by reducing the production of acid in the stomach. Ranitidine takes full effect within two to three hours of a dose. Stomach acid plays a vital role in the digestive process. It helps to break down food it reaches the intestines. When there is an excess amount of acid, ulcers can form in the stomach. Gastric acid is released by H2 receptor cells along the walls of the stomach. 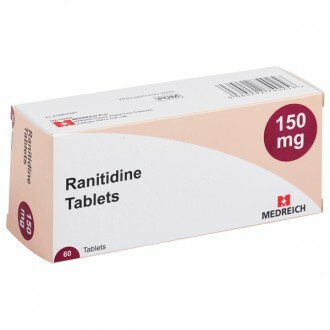 Ranitidine blocks the action of histamine with these receptor cells, which suppresses the production of excess acid. The oesophageal sphincter is made up of a group of muscles that act as a one-way barrier between the oesophagus and the stomach. This valve allows food to pass down into the stomach, whilst not allowing stomach acid or other substances to escape upwards. This sphincter can become weakened under pressure, which allows small quantities of acid to escape the stomach and enter the oesophagus. This is known as acid reflux. Heartburn is an associated symptom of acid reflux. 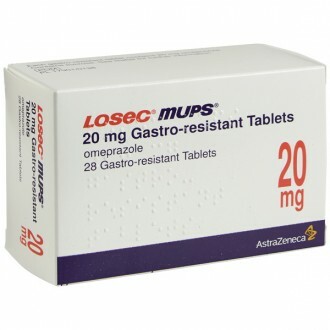 The painful burning sensation of heartburn is the result of stomach acid irritating the soft tissues of the oesophagus. Heartburn isn’t related to the heart itself, rather the condition gets its name because the pain is felt in the chest area. The primary cause of acid reflux and heartburn is obesity. This is due to excess fat putting pressure on organs, such as the stomach. 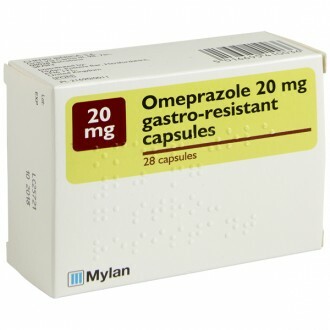 This added pressure can force stomach acid upwards, through the oesophageal sphincter. Eating excessively large meals can have a similar effect. Eating smaller portions and avoiding fatty, spicy, and acidic foods can reduce your risk of experiencing acid reflux. It can also help to avoid carbonated and caffeinated drinks. Recent studies also suggest that alcohol and nicotine can weaken the oesophagal sphincter, leading to acid reflux. Ranitidine is sold in 150mg tablets. Generally, you will take two per day, once in the morning and evening – ensure that you follow your prescription exactly, as your recommended dose may vary depending on your condition and its severity. Swallow the tablet whole with a sip of water. It is important that you do not crush or chew the tablet. If, for any reason, you forget to take a tablet, take it as soon as possible. However, if it is nearly time for your next tablet, skip the dose that you missed. Never double your dose to compensate for a dose that you have missed. Croscarmellose sodium, magnesium stearate, colloidal anhydrous silica, microcrystalline cellulose 112 (flocel 112), purified talc, titanium dioxide (E171), hypromellose E15, castor oil, ferric oxide yellow. How do I buy Ranitidine online? You will need to fill in a simple health questionnaire so that our GPs and Pharmacists can ensure it is safe for us to supply your Ranitidine to you. It only takes a few minutes, and your treatment can be delivered to your door as soon as the next working day. Is it safe to buy Ranitidine online? Yes – as long as you are buying from a website that is a legally operating and regulated pharmacy, it is perfectly safe to buy Ranitidine online. What are the advantages of buying Ranitidine online? 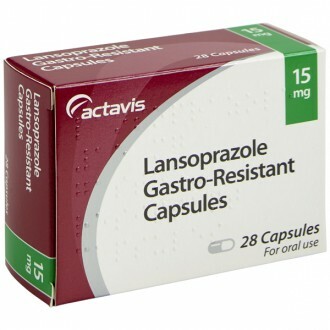 A wealth of information - we provide all the information you could need on Ranitidine and other acid reflux treatments, in easy to digest formats, at a time that suits you.